IMPORTANT. 56km runners start and finish at Cape Schanck. 28km Runners start at Dromana and finish at Cape Schanck. The steep rise from sea level up to Arthurs Seat (elevation 1,000ft) provides 310 degrees of breathtaking views across the bay to Melbourne. The trail is well marked by a blue wren bird symbol on all signs. The middle of the track passes through mostly undulating national park and forest. 28km course GPS links. (Thanks Paul Day.) If you don't do tech, ask your grandkids for help, or scroll down to the videos, maps and directions. The 28km course is approx. 27.4km with 705m of ascent and 659m of descent. Every watch will measure something different. Feverish religious debate will ensue. 56km course GPS links. (Thanks Paul Day.) If you don't do tech, ask your grandkids for help, or scroll down to the videos, maps and directions. The 56km course is approx. 55.7km with 1350m of ascent/descent. Every watch will measure something different. Feverish religious debate will ensue. 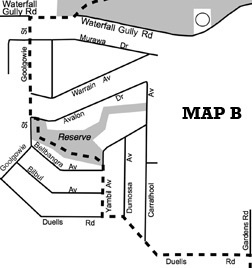 View 28km course with Brewster's Running commentary and advice on handling the terrain. 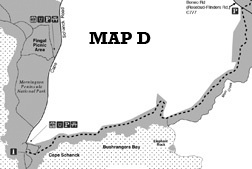 Below is the 56km course. 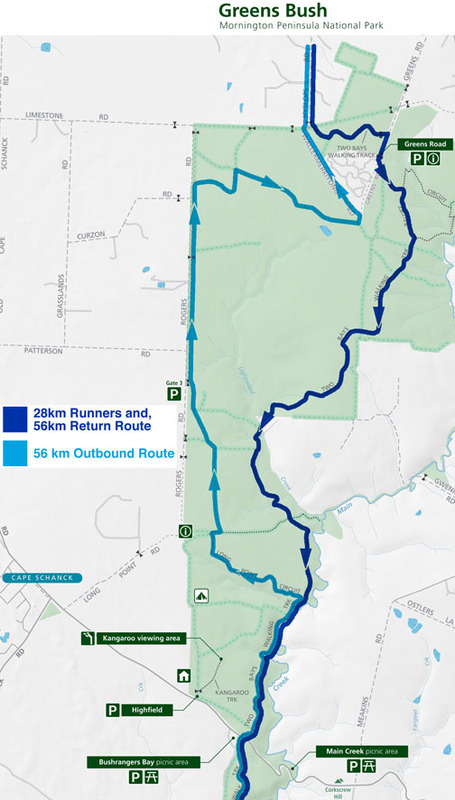 The 28km course is the second half of the 56km course. Thanks to Steve from fstop5 sports photography for putting this together. 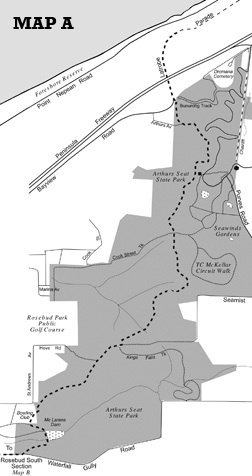 Download the Trail map in Adobe Acrobat (pdf) format courtesy of Parks Victoria. The Trail is generally well marked, but if you don't understand GPS devices, you really need to look at the Parks Vic map from the download link above. If in doubt about the directions just follow the blue wren signs. These blue wren signs indicate that you are on the Two Bays Trail. EXCEPT the last sign which reads Seawinds 0.3km. At this sign you should take directions right to Waterfall Gully Rd. follow the sign right to "McLarens Dam 1.4km"
go right to "Waterfall Gully Road 2.8km"
turn left at Avalon Drive then..
and out onto Yambil Ave where you turn right. go right and wipe your feet on the brushes provided. follow the sign to "Cape Schanck 15.8km"
follow the sign left to Greens Bush and in about 50m take the track on the right. (marked with a faded blue wren). when you get to Boneo Rd watch for traffic. Cars have right of way. the 28km run finishes in the Bus Lane at Cape Schanck.